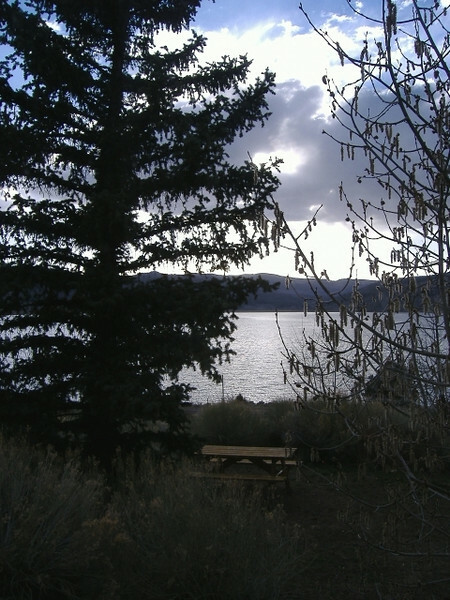 This weekend we moved to Bear Paw Lakeview Resort at Panguitch Lake, Utah (forecast). 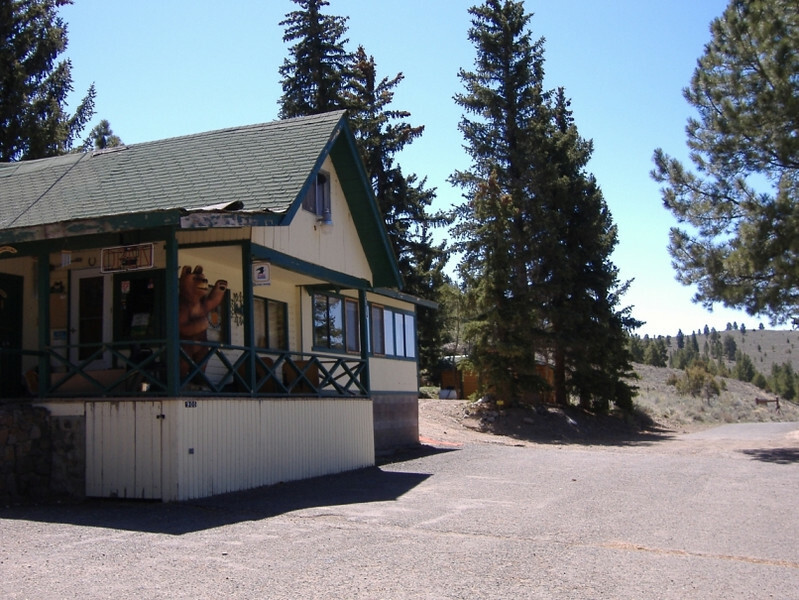 The general store, restaurant, and offices of the quaint fishing resort. (FYI..."Panguitch" is a Paiute word for "big fish.") 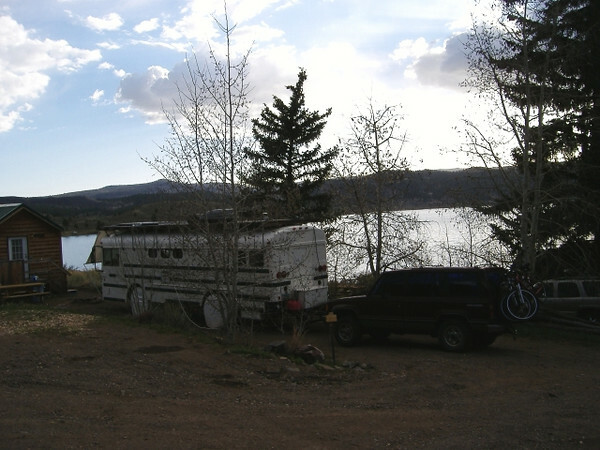 There are numerous cabins and RV sites for lodging, boats for hire, and fishing supplies for sale. Our parking site. 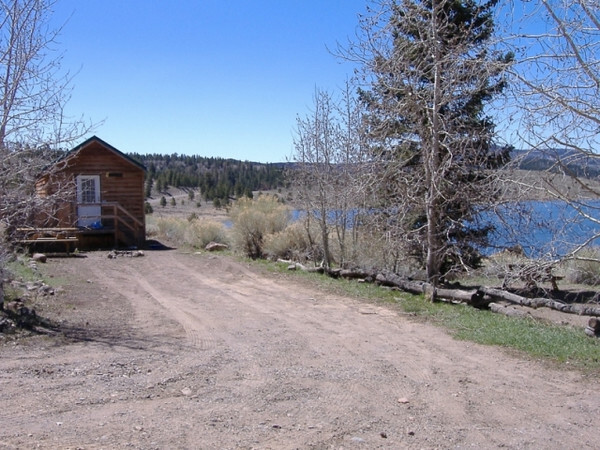 The cabin at the end of the site is for employee housing. To the right (west) is the lake. Everything fits! Our dining table/office desk overlooks the lake. 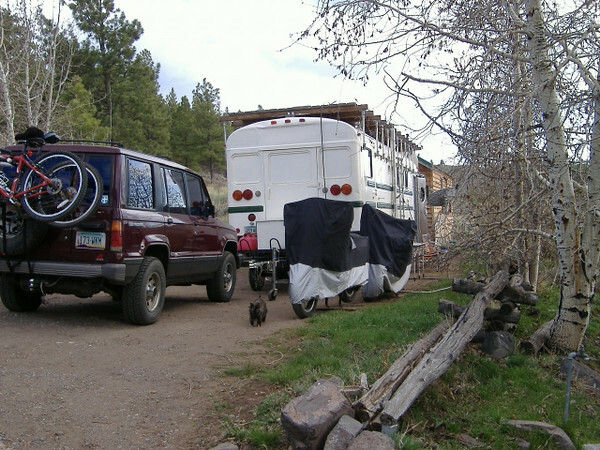 Another view of our site...with roaming feline! 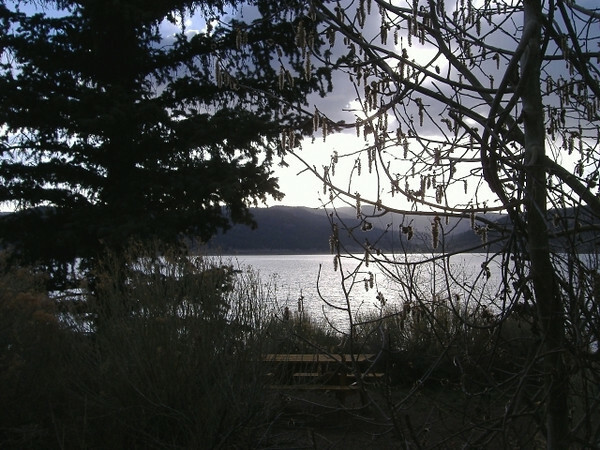 View from our dining table, about an hour before sunset.